Baby showers are great parties for friends and family to get together to celebrate the beginning of a new life. This baby will not only have an impact on the mother, but it will also touch the lives of everyone involved. Childbirth is truly a miracle and a pretty long haul as well. Therefore, celebrate the mother to be with a wonderful shower and bring that baby into this world with a room full of smiles and little bit of style. 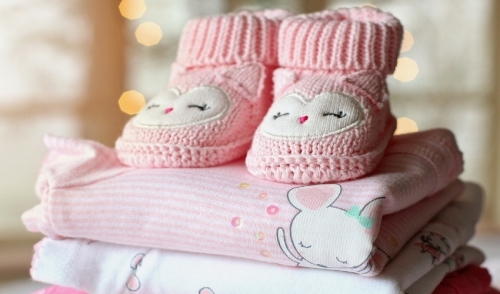 The simplest way to have an affordable, yet memorable baby shower is to rent your party needs. No matter how big or small your shower is, there is always room to rent the items you need. For starters, if you’re hosting the party outdoors contact your local rental dealer about securing a tent. Tents are among the most popular rental items for all parties, but there are plenty of sizes and options to choose from. Moving the party outdoors under a tent also grants you more space that might not be readily available in your home. Tents will also save you money from having to utilize a venue hall while granting you the comfort of your own home, which I’m sure any future mother would rather prefer. Even if you don’t have a backyard, you can still rent a tent and set it up at a family members home or a nearby park. Once your space is officially secure, rent a couple of tables for catering, potluck dishes, and gifts. Whenever a baby is one the way, things always can get a little hectic around the house. If the mother already has a little one, you can bet things already are, which means space is a hot commodity. Add a few extra tables so that guests at the shower can have a place to eat, leave gifts, display photos or décor, and present a nice cake. The most important item to rent, unless you somehow already have a good one is to grab a very big and comfortable chair. No expectant mom can be properly showered without having a chair that she can sit on and feel relaxed. Try to rent a chair that’s bigger or different from the rest. The expectant mom chair should rival that of any throne and can be decorated to your liking. Many rental companies have large chairs in stock specifically for showers. Explore all available options and pick something that will best honor your loved one. Depending on how fun the crowd is or if you’re expecting other moms and their kids to attend, rent additional items to guarantee everyone has a good time. Items such as small carnival games, cotton candy or popcorn machines, and the popular photo booth are extra items to consider renting for the baby shower. For every shower you throw, make it better and better by renting everything you need. Whether it’s your first or your third child, every new addition to the family should always be celebrated.